CJ Rear Bumper with 1 inch Body Lift Bare 76 Newer Jeep CJ TNT Customs. 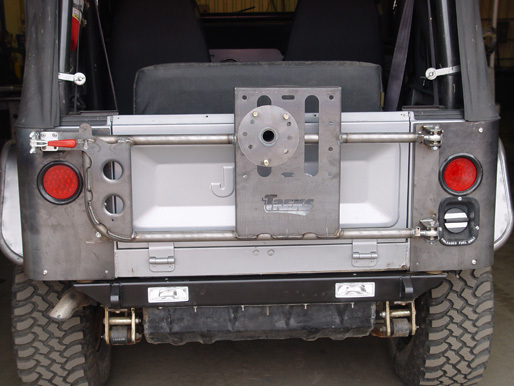 High Clearance Jeep CJ rear bumper. Increased Departure angle and added strength. Add strength to your Jeep CJ(1976 or newer) frame with a TNT heavy duty replacement rear frame bumper. Constructed of 3/16 inch plate steel, it includes 3/4 inch shackle mounts and back-up light cutouts.